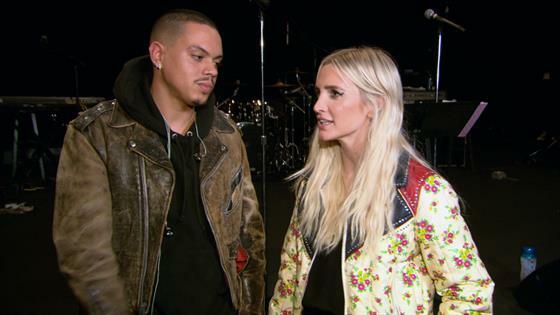 Ashlee Simpson-Ross couldn't be prouder of big sister Jessica Simpson following the latter's recent conflict with Natalie Portman. In fact, amid rehearsing for her upcoming tour with husband Evan Ross, the ASHLEE+EVAN star reflected on the controversy with E! News' Will Marfuggi. "I mean, I was so proud of my sister," the "Pieces of Me" artist exclusively commented in the clip above. "She's definitely a strong woman and she definitely stands up for herself." As you surely saw, the "With You" singer called out the Vox Lux actress for seemingly shaming her over a magazine cover from almost 20 years ago. Specifically, in an interview with USA Today, Portman said, "I remember being a teenager, and there was Jessica Simpson on the cover of a magazine saying 'I'm a virgin' while wearing a bikini, and I was confused. Like, I don't know what this is trying to tell me as a woman, as a girl." Ashlee & Jessica Simpson's Sweetest Sister Moments! In an effort to stand up for herself, 38-year-old Simpson took to social media and publicly addressed Portman's comments by saying she was "disappointed" to see the Oscar winner's words. The singer turned fashion designer further defended herself by reminding Portman that "the industry we work in often tries to define us and box us in." While Natalie has since apologized and clarified her controversial remarks, it appears that Ashlee is beyond impressed with the way her pregnant sister handled herself. "I was like, 'Alright! She's pregnant and…'" Simpson-Ross shared through laughter. "I was definitely supporting my sister, I was proud of her." Evan also vocalized support for Jessica as he noted that certain projects, like the magazine cover at the center of the conflict, can be "misconstrued." Nonetheless, Ashlee and Evan were happy to report that Jessica is doing "great" during her third pregnancy. Although Ashlee wasn't certain of Jessica's cravings, she hinted that she knows the little one's due date. "I'll let [Jessica] tell you guys," Ashlee quipped with a playful shrug. For all of this and more, be sure to take a look at the video above!